“For an individual, the risk of developing colorectal cancer because of their consumption of processed meat remains small, but this risk increases with the amount of meat consumed,” says Dr Kurt Straif, Head of the IARC Monographs Programme. ”These findings further support current public health recommendations to limit intake of meat,” says Dr Christopher Wild, Director of IARC. refers to all types of mammalian muscle meat, such as beef, veal, pork, lamb, mutton, horse, and goat. refers to meat that has been transformed through salting, curing, fermentation, smoking, or other processes to enhance flavour or improve preservation. A summary of the final evaluations is available online in The Lancet Oncology, and the detailed assessments will be published as Volume 114 of the IARC Monographs. on the carcinogenicity of the consumption of red meat and processed meat. is part of the World Health Organization. Its mission is to coordinate and conduct research on the causes of human cancer, the mechanisms of carcinogenesis, and to develop scientific strategies for cancer control. The Agency is involved in both epidemiological and laboratory research and disseminates scientific information through publications, meetings, courses, and fellowships. On Monday the International Agency for Research on Cancer, part of the World Health Organization, published an analysis linking colorectal cancer to the consumption of processed meats and red meat. Here are answers to a few questions about the report. How might meats be linked to colorectal cancer? 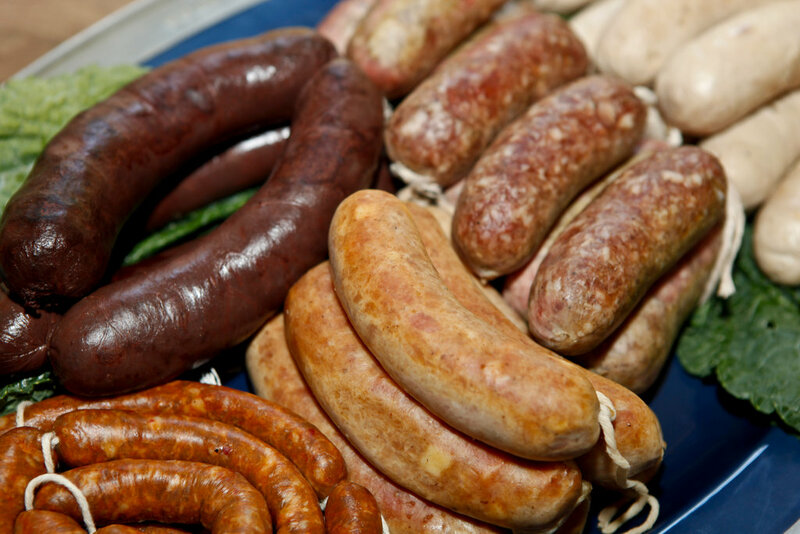 Processed meats like hot dogs and sausages have been salted, cured or smoked to enhance flavor and improve preservation. Scientists have long worried that this processing leads to the formation of potentially carcinogenic chemicals like polycyclic aromatic hydrocarbons in these products. The concern with red meats — beef, pork and lamb — has more to do with the cooking, not the processing. Grilling, barbecuing and pan-frying meat creates potential carcinogens, including heterocyclic aromatic amines. The report finds a link between consumption of processed meats and colorectal cancer (and perhaps other cancers), but also acknowledged that the link between red meat and cancer has not been proved. “Eating red meat has not yet been established as a cause of cancer,” the I.A.R.C. said in a handout accompanying its report. Is there a safer way to cook meat? There is just not enough data to know for sure whether broiling or boiling meats might lower cancer risk. Small, compared with smoking or alcohol consumption. Colorectal cancer is the third most common non-skin cancer in the United States, and will bediagnosed in an estimated 133,000 patients this year, a wide majority of them over age 50. The lifetime risk is about 5 percent. W.H.O. estimated that 50 grams daily of processed meat or 100 grams daily of red meat might increase the risk of colorectal cancer by 18 percent and 17percent, in that order, over the absolute risk — if indeed red meat were related to cancer at all, which the report also acknowledged is not known. Most of the data reviewed by the W.H.O. are drawn from population studies, and many experts question whether these risk estimates can be applied to individuals who may have other risks for colorectal cancer. Is there any way to reduce the risk of colorectal cancer? There are several ways. People who eat diets rich in fruits, vegetables and fiber are at lower risk, as are those who exercise. Obesity, smoking and heavy alcohol consumption increase the risk of colorectal cancer. The incidence has been declining for 20 years, in part because of colonoscopy screenings. Daily low-dose aspirin may reduce the risk, but it has side effects and most experts do not recommend its use in people at average risk who do not also have cardiovascular disease. “Processed meat ranks alongside smoking as major cause of cancer, World Health Organisation [WHO] says,” The Daily Telegraph reports. It has been ranked as a group one carcinogen – the same ranking as cigarettes, alcohol and asbestos. The WHO’s International Agency for Research on Cancer (IARC) released a report evaluating the link between the consumption of red and processed meat and cancer. A question and answer factsheet was also published. The quality of the UK media’s reporting was mixed. Some sources fell into the trap of assuming that since processed meat had been ranked as a group one carcinogen, it meant it was as dangerous as other substances in the group. This led to headlines such as the Daily Express’, “Processed meat is as bad as smoking”, which is simply untrue. While any substance ranked as a group one carcinogen is known to cause cancer, this doesn’t meant the risk of cancer is the same for all substances. A bacon sandwich is not as dangerous as being exposed to weapons grade plutonium, and smoking a pack of 20 cigarettes a day is far deadlier than eating a ham roll. Positive links between colorectal cancer and processed meat were found in 12 of 18 cohort studies and six of nine case-control studiesexamining the meat. There was also data available linking red meat consumption withpancreatic cancer and prostate cancer, and processed meat withstomach cancer. As a result of these findings, the WHO Working Group has classified processed meat as “carcinogenic to humans” on the basis of sufficient evidence to draw a link with colorectal cancer and an association with stomach cancer. There was a limited amount of evidence available when assessing red meat, and this was therefore classified as “probably carcinogenic to humans”. This entry was posted in Cancer, Cryoablation, Kidney Cancer, Magnetic resonance imaging, Surgery, Tumour and tagged Cancer & Meat, GL-W, Greg Lance-Watkins, Greg_L-W, IARC, Processed Meat, Red Meat, WHO, WHO Report on Meat. Bookmark the permalink.